As a physician specialist in urodynamics (and a researcher in mathematical modeling of lower urinary tract and micturition), I need to connect the complaints of my patients to physiological causes. In most cases causes can be myogenic, neurogenic or both. Nervous excitations are poorly defined and poorly measured (because very invasive) in human. We know that the brain plays a great part in the control of micturition. But cognitive sciences do not teach us anything in connection with the conscious aspect of control. From functional imagery, we learn that some changes in the map of activated areas come with some voiding dysfunctions. However all this is awfully fuzzy. From non-invasive to invasive, proposed treatments of voiding dysfunction are rehabilitation, chemical such as α-blockers or anti-muscarinic, sacral neuromodulation, botulinum toxin and at last surgery. Rehabilitation probably induces new behaviors and therefore new reflexes while chemical treatment modifies intercellular transmission and neuromodulation or botulinum toxin the synaptic transmission. Many studies are carried out on a small step on one phenomenon and unfortunately on animals. Thus I felt strongly the need of a synthesis. Then, I met two physicists: Pierre Nelson and Gérard Lot. After a bright career, they devoted their mastery of mathematical modeling applied to practical problems to the study of nervous activity. Proceeding by little steps, they started from the physicochemical properties of a neuron to obtain input-output relationships, which are the description of its processing signals ability. From then, they could overlook all physicochemical properties and look only at the functional ones. If large assemblies of parallel, competitive or modulating neurons explain easily the behavior of frog, human mechanisms are much more intricate and their description complicated. However, I think that the effort of description and modeling of these specialists is a great step in the understanding of action and thought. Our purpose is to describe how the activity of physiological neurons (and not schematic ones) generates behaviors and thoughts of animals and men. We own a huge number of experimental results (the number of notable recent papers is nearer of 105 than of 104). Systems such as the brain or the sun are so complicated that we need a hierarchy of models to study them at several description levels. A model is a quantitative (mathematical) description summing up a large number of experimental observations. It establishes relations between observable parameters. Quantitative modeling is the convenient tool for a bottom-up approach. Nervous system can be looked at from very different points of view: nature of the specific molecules, electric phenomena, anatomy, circuitry, behavior, psychology. For each of these levels, we own a huge number of scattered experimental results. We intend to start from the lower level, then to proceed to its accurate study, and finally to extract from this description some results simple enough to allow the study of a higher level. The nervous system of any animal links input sensorial cells (or sensors) to output cells (muscles and glands). A network of excitable cells, the neurons, carries out the connection. From the most primitive animals to the man, we do not perceive any significant evolution in the basic component: the neuron. The increase in the sophistication of the nervous systems is due to an increase in the number of neurons and not in an improvement of the performance characteristics of the neuron itself. Some sea anemones count only one neuron that simultaneously acts as a sensor and as a motoneuron: when directly excited, it orders tentacles closure. Instead the nervous system of human being is build around some 1011 neurons, half of them devoted to basic functions such as sensation and motorization, the others to more elaborate functions such as memorizing, speaking and thinking. Starting from the general properties of the nervous components, we will go gradually towards the observable behavioral of various animals from the simplest ones to the man. The neuron is not a chip, the brain is neither a computer nor a cellular automat or an artificial neuronal network, but both brain and computers are messages processing devices. Some similar laws, many of them discovered by engineers (for instance the part of noise or the difference between quick and slow memories) rule them. Thus, analogies can be useful. 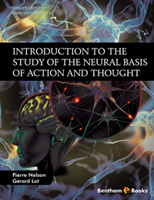 Although using many theoretical and computational results, this text, divided in 5 chapters, can be read without any mathematical background: the main text contains only a qualitative description of the main assumptions and the main results. Quantitative results and descriptions of the used theoretical methods are given in appendices at the end of each Section. We advise the reader to look first only at the main text, then to the quantitative results of some appendices and only then to the complete demonstration (in italics) of the most difficult questions. To gather an exhaustive bibliography would be an impossible task. Thus, only some very important or seldom read papers are referenced in this text. We assume that the brain is made of molecules (and this is the contrary of spiritualism), but that its working requires a marvelously structured architecture (and this is the contrary of brute materialism or of reductionism). We pretend that the basic circuitry is the conditional link (and this is close to behaviorism) but that the drives, the rewards, the wirings are, in most cases, very different from those encountered in the simplest pavlovian reflex (and this is the contrary of behaviorism). To sum up, we believe that the neuro-physiological phenomena are far too complex to be confined in black or white doctrinal concepts. The authors are deeply grateful to Dr. Françoise Valentini who undertook the exhausting task to correct the presentation of this text and to Dr. Humaira Hashmi and Hira Aftab who patiently advised them.